How much is that megabyte in the window? I’ve been neglecting this blog lately to work on a couple of projects. One involved a comparison of different communication methods over the years. 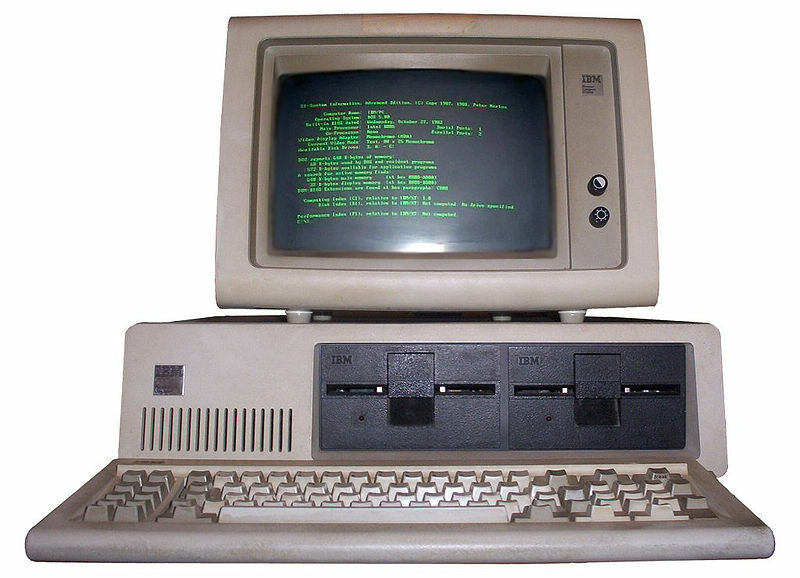 In researching it, I learned that when the IBM PC 5150 (the first personal computer) came out, it cost $1,565 and had a whopping 40 kilobytes of RAM. That works out to $39,125 per megabyte, or $88,176 in 2007 dollars. (I used 2007 inflation figures because that was the last year used by the on-line calculator I found). The first Macintosh, the 128K, come out in 1984. 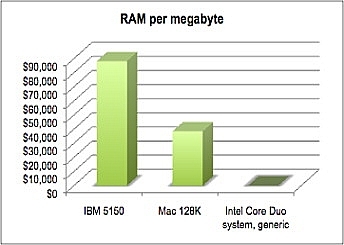 It cost more, $2,495, but the cost per megabyte was a comparative bargain — just $19,392 ($38,429 in 2007 dollars). How about now? I assembled a hypothetical generic Dual Core Intel machine with the usual features from a 2007 price list. At $421 for the computer, including a huge hard drive and DVD burner, it included 2 gigabytes of memory. That works out to just over 42 cents per megabyte — $0.42065, to be precise. Funny that your writing led to some comparisons of cost with personal computing. I write a small blog on WordPress about consumer electronics and my first entry dealt with the progress of personal music listening devices over th e years. I was amazed to think back to how much has changed in just the last 20-years and what $100 today will get me versus 20 years ago.